•Take US-31 North to US-12 (Exit #3). •At the bottom of the ramp turn left (West) on US-12, follow 9.8 miles to Galien, MI. •Turn right (North) on Main Street/Cleveland and follow 7.1 miles to Browntown Road. •Turn left (West) on Browntown and follow 5.3 miles to Red Arrow Highway. •Turn left (South) on Red Arrow Highway and follow for 0.2 miles to destination. •The market is on the right (West) side of the road. •Take I-94 East to Sawyer (Exit #12). •At the bottom of the ramp turn right (West) on Sawyer Road, follow 0.6 miles to Red Arrow Highway. •Turn right (North) on Red Arrow Highway and follow for 1 mile to destination. •The market is on the left (West) side of the road. •Take I-94 West to Bridgman Exit #16. •At the bottom of the ramp turn right (South) on Red Arrow Highway, follow 2.6 miles to destination. 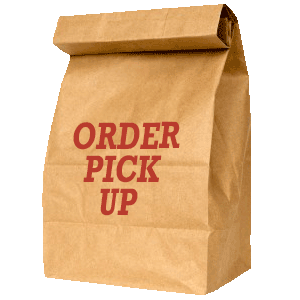 PLACE YOUR PICK UP ORDER NOW!